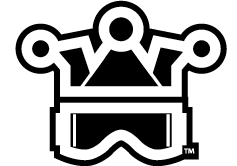 The Full Gas Sprint Enduro series has quickly taken hold as a professionally run and highly competitive format for East coast off road racing. 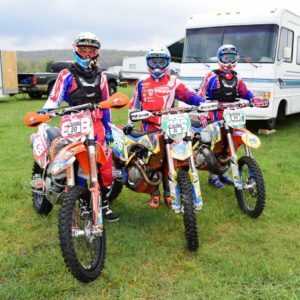 This past weekend the beautiful Boyer Farm in West Virgina was the site of FGSE round 3 which also served as this years east coast American Motorcyclist Association qualifying event for the 2016 FIM International Six Days of Enduro. That meant that from this 2 day race the AMA would choose seven Team USA club riders, one women’s team and one Senior team member. The remainder of the USA team will then be selected at the West Qualifier to be held in Idaho in June. 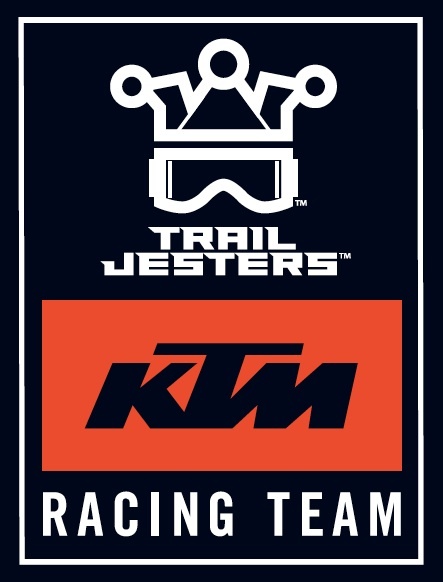 The goal for the weekend was simple … go after three Team USA spots by getting our riders in the top 7 overall of AMA Letter of Intent (LOI) racers. We certainly went through many highs, lows, challenges and personal bests over the two days. And in the end Josh Toth, Jason Klammer and Ben Kelley delivered solid rides and earned their way to Spain. This will be the fourth time Spain has hosted the ISDE and the high desert terrain around Navarra will provide a challenge for New England riders. 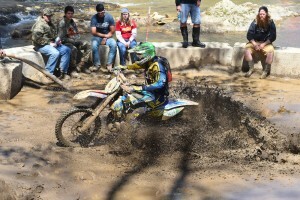 Two time ISDE Gold medalist Ben Kelley was very bruised and sore from a bad get off at the previous weeks GNCC round. But Ben pushed through the pain and stiffness to build his results test by test and end with his best weekend score a 5th in test6 on day2. Ben finished 4th in LOI and 13th overall. The newest jester, Jason Klammer, rode strong in both the cross and enduro tests consistently landing top 15 test scores overall. Jason finshed 3rd LOI and 8th overall clearly showing why he deserves a spot on Team USA. 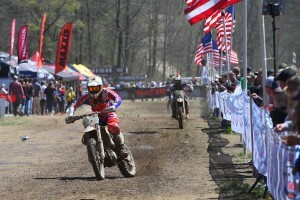 The high point of the weekend was watching ISDE veteran Josh Toth ride to a career best FGSE 4th overall and 1st LOI. While Josh did well in the cross tests, it was in the enduro tests where he turned heads. In the six enduro tests run over the two days, Josh finished 5, 1, 2, 4, 3, 2 … beating some of the very best professional off road racers in the world with his times thru the woods. While Josh finished just off the pro overall podium, it was very cool when Thad Duvall gave Josh a shout out during his trophy speech. The excitement from the weekend will wear off soon and the planning, preparation and focus on Spain will take over. The riders and I want to say thank you to our support crew and our great sponsors … we for sure couldn’t do this without you. After the first two grueling GNCC rounds to learn about what it takes to survive and succeed racing at the national level … the team headed North to re-group. During the two week break Ben focused on getting his suspension dialed in (thank you GTR!) and Josh had several things to sort out as well (thank you Edelmann’s and Justin MacBurnie). With fresh gear (thank you MSR!) the team then headed out to round 3 of the GNCC series in Morganton, North Carolina. When the flag dropped Ben got a mid-pack start and Josh was near the rear. But when they came around for the first lap Ben sat 7th XC2 and Josh 9th. The race progressed and our boys worked their way up passing XC1 and XC2 riders as well as a lot of lappers. For laps 4 and 5 the guys were running nose to tail and swapping positions as they moved up in the overall. The last two laps saw Josh loose his rear brake pedal and take the energy hit trying to maintain his pace while keeping the bike on the trail. Ben pressed forward maintaining a torrid pace to move up a place each lap to take a well earned 4th XC2 and 12th overall. Josh finished 8th XC2 and 17th OA. Another solid race to build on for the team.